Apartheid, Ethnic Cleansing, Murder and Oppression. The horrible massacre of innocent Palestinian men, women, and children continues as the savage Israeli assault pours down on Gaza. According to reports over 229 people have been killed-many of them children-and more than 1,000 people injured. Why? What are the reasons and implications to this continued violence against the children of Gaza? To answer these questions and more, The Lamppost Education Initiative presents this exclusive session with Dr Hatem Bazian, a senior lecturer in the Departments of Near Eastern and Ethnic Studies at the University of California, Berkeley. With details you will not hear on CNN, Fox News, or any network station. Dr Hatem provides a clear description of the aims and purposes of the Israeli campaign against the Palestinians of Gaza. How does this crises in Gaza impact Muslims in America? What are the aims and objectives of the Israeli government in this murderous onslaught against the Palestinians? Please listen carefully to this special presentation on the Gaza crises. Dr. Hatem Bazian is co-founder, senior faculty, and Academic Affairs Chair at Zaytuna College. He is also a senior lecturer in the Departments of Near Eastern and Ethnic Studies at the University of California, Berkeley. Dr. Bazian is also a visiting Professor in Religious Studies at Saint Mary’s College of California and adviser to the Religion, Politics, and Globalization Center at UC Berkeley. 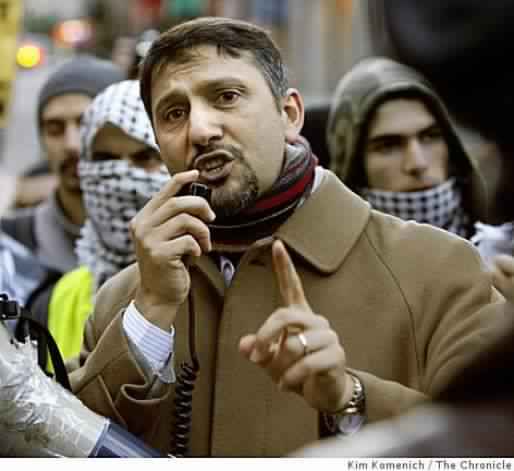 In 2009, he founded the Center for the Study of Documentation of Islamophobia at UC Berkeley. Dr. Bazian is on the board of several organizations, including the Islamic Scholarship Fund and Muslim Americans for Palestine, for which he is also the founding president.